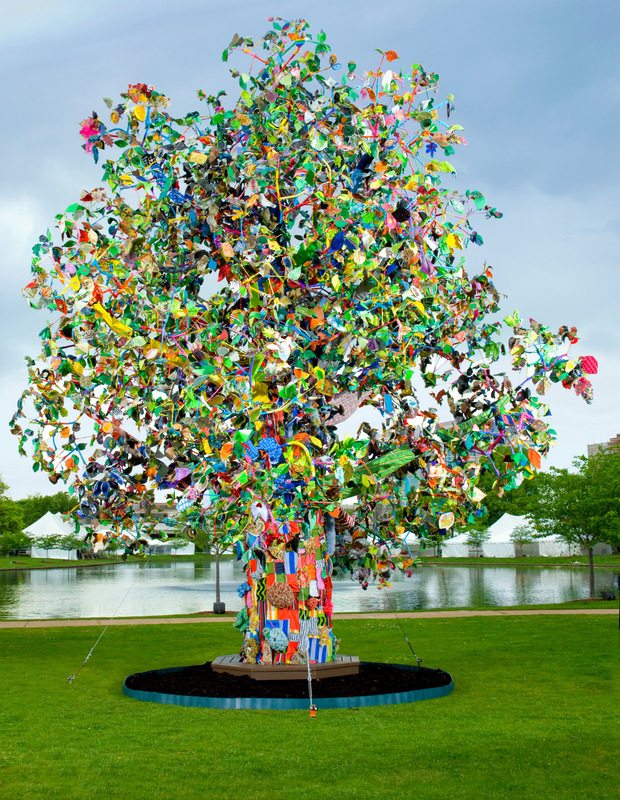 The Tree Project engaged more than 8,000 students, 62 schools, and quilters from 23 countries and 39 states. Participants submitted over 14,000 handmade leaves for the canopy, mimicking the shape of a live oak. All leaves were photographed and posted online for the public to enjoy. The Tree was eventually installed in its permanent home, the rotunda of the Earlyworks Children’s Museum in Huntsville, Alabama.